Feline wellness. It’s a real thing. Us cats are notorious for hiding illnesses, so it's often hard for humans to tell if we are sick or in pain. You can’t just rely on your cat to tell you what’s wrong. Certain behaviors can signal that we aren't the best...Changes in mood, unwelcome presents around your house 💩, and breaks in routine such as drinking more water, or refusing to play with our favorite toy are signs to look for. However, because we are so good about hiding our symptoms until it's advanced, some of the health issues can get scary...if not caught early. Regular wellness checks (every 6 months), active care, and using proactive measures like a health monitoring cat litter (ahem, PrettyLitter) as a tool to stay on top of your cat’s health can save lives, save on potential veterinary bills, and save emotional heartache. 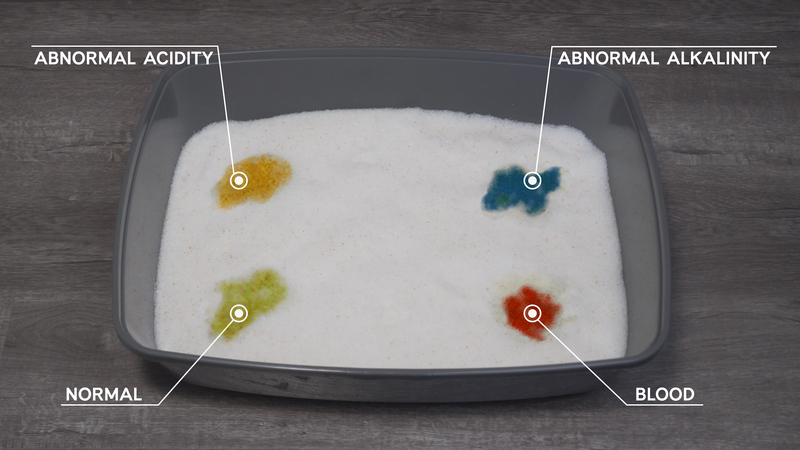 PrettyLitter is the first ever kitty litter designed to monitor your cat's health and detect illness early ...simply by changing colors. Color changes indicate that it may be time to take your cat to the Veterinarian for a wellness visit. Only a licensed Vet can diagnose any specific issues. Color changes indicate that it may be time to take your cat to the Veterinarian for a wellness visit. Only a licensed Vet can diagnose any specific issues. PrettyLitter detects health issues in your cat's urine and the microgels change color if there's a problem. The different colors- yellow is normal, and red, green, and blue indicate different issues like UTI's, blood in urine, inflammation, kidney issues, and more. It can even warn you about potential health issues with your cat before visible symptoms or pain occur. So if you love your cat and want to proactively monitor its health, I suggest trying out PrettyLitter. Still not convinced? How about if I told you the odor control is amazing, the litter weighs 80% less than traditional litter (no more lifting heavy bags...unless you like that sort of thing), one bag lasts about a month AND it's delivered conveniently to your door every month! Amazing, right?? I think so...and I'm a cat. Oh, and because I want every cat mom and cat dad to use PrettyLitter, enter SPRINKLES at checkout and get 20% off your first month.